Music Maxi Poster: Yellow Submarine was a 1969 album for the original boy band The Beatles and it features the songs 'Yellow Submarine', 'All together Now' and 'It's All too Much' as well as many more. 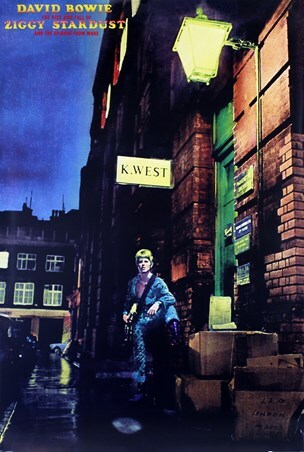 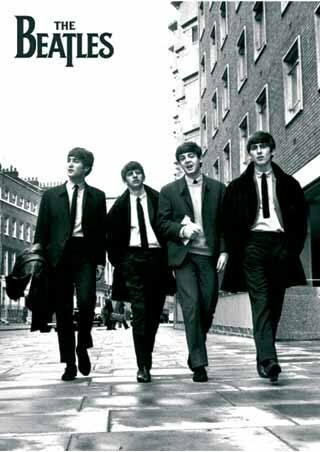 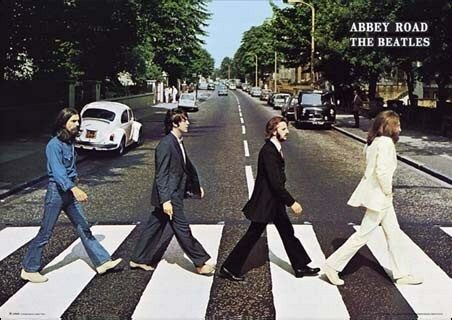 The album reached number one as well as going gold and platinum and was one of the most recognised albums for John Lennon, Paul McCartney, George Harrison and Ringo Starr. This excellent poster is a must have for anyone who has ever heard the iconic sound of The Beatles and it will make a brilliant addition to your collection. 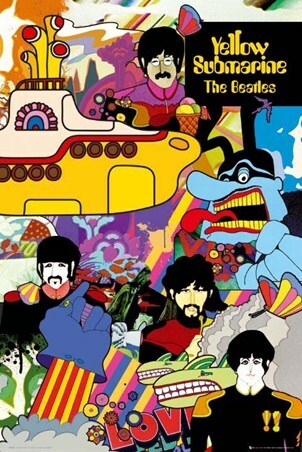 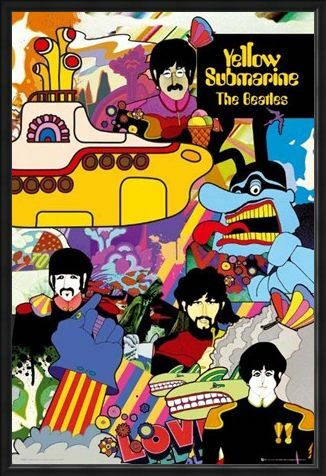 It features a collage of cartoon style images from the Yellow Submarine album as well as the boys in a caricature style. 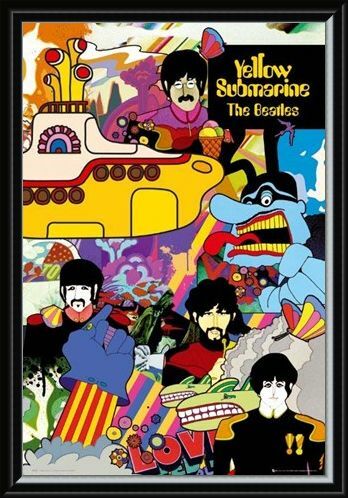 High quality, framed Yellow Submarine Collage, The Beatles poster with a bespoke frame by our custom framing service.